On the one hand, deciding an appropriate age for your orc may seem like a simple task — they have lifespans similar to humans, after all. However, orcs are deceptively complicated, largely due to aging hijinks with the original Horde. Throw in an alternate universe with its own history, similar and yet at the same time very different from our own, and you have a recipe for an orc-sized headache. Where do you even begin? If you focus on the few solid facts that we have to work with — historical events, mostly centered around the First War — it gets a little easier. And despite the fel magics orcs gleefully dabbled in back in those days, an orc still doesn’t have a ridiculously lengthy lifespan. Does that mean it’s impossible to have a 200 year old orc? No — but you better pull together some really good explanations for it if you expect people to accept your backstory as believable. Orcs are incredibly similar to humans when it comes to lifespan — it’s the history your orc has experienced that sets them apart from their human counterparts. According to the Warcraft RPG source guides, orcs reach adulthood somewhere around 18-20, middle age at somewhere around 40, old age at about 65, and they rarely live beyond 100 — a very human sounding life span. Do keep in mind that there are exceptions, and these age references are from books that are no longer canon, however. While they are the only guidelines we really have, they aren’t necessarily correct. We’re mostly using them for general reference here because we don’t really have any other options. What we do know for certain is this: Any orc born in the last 100 years has seen history play out before their eyes. They’ve witnessed the fall of their race, the demonic corruption that swept over the clans. They’ve potentially seen all three major wars on Azeroth. 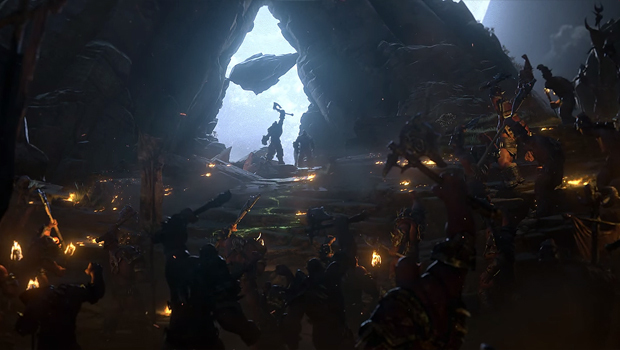 They were there to witness Thrall’s rise as leader of the new Horde, they were there to witness Garrosh Hellscream’s ascension. 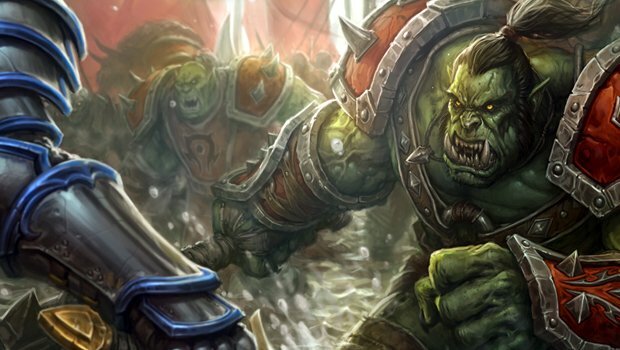 Orcs have had a lot of history crammed into the last 30-35 years or so, and the arrival of Draenor throws a wrench into all of it. It’s a hard, rough life for an orc. There’s a reason they fight, because fighting is all they have ever known. Although orcs can live to be 100 — or even longer presumably, if you throw some magic into the mix — most don’t, because they are constantly and consistently fighting for their lives either in wars, against the harsh deserts of Durotar and the Barrens, or against each other. For a character template of a typical orc, all we have to do is count back from the present day, as with any other race in Warcraft. Thankfully, orc lifespans mean that you don’t have to count back too terribly far. However, orcs have been embroiled in plenty of history in the 30 years or so they’ve been on Azeroth — and even more history over on Draenor, before it shattered into Outland. An orc who is only just 18 would have been born somewhere around year 12 — which makes it highly likely they were born in an internment camp, raised in captivity among their oddly lethargic peers. Any orc around 30 years old would have been born at the cusp of the First War, and likely spent the majority of their formative years in an internment camp after the end of the Second War. Orcs older than 30 might have vague memories of Draenor — the older they are, the more vivid those memories probably are. Orcs that are 40 years or so would have still been children when the Horde first came through the Dark Portal, but they likely would have fought in the Second War, despite only being 16 or so when the Second War began. The wars on Azeroth were important, and the orcs needed every able-bodied fighter they had to help establish a foothold — a dominant foothold — on the Eastern Kingdoms. Unfortunately, those efforts failed. However, any orc living in the internment camps, at any age, has to take Thrall into consideration. Were they happy to be freed from the internment camps, was it a moment of triumphant liberation? Or were they frightened, torn away from the only home — no matter how horrible — they’d ever known? It’s likely that their impression of Thrall was high at this time, although that impression may have faded over the years, after Durotar and Orgrimmar were established. Also keep in mind that according to the official timeline, Thrall arrived in Kalimdor with the new Horde only ten years ago, or thereabouts. An orc born in Durotar or in Orgrimmar would be no older than 10 — still very much a child. Before Thrall arrived, there were no orcs on Kalimdor at all — they were all on the Eastern Kingdoms. Now that we have that set, let’s just throw a giant wrench into the works and talk for a minute about Gul’dan. Here’s the thing about Gul’dan — he’s evil. He was also one of the first warlocks, and Kil’jaeden gave him a great many “gifts” to help in the fight against the draenei on Draenor, prior to the Dark Portal’s construction. One of these tricks was the ability to dramatically age orcish children into grown, fighting adults. It was not a pleasant process. But Gul’dan cared far more for winning the fabricated war against the draenei than he did the welfare of mewling orc children, so aging happened. If you want to incorporate this into your orc’s backstory, it’s going to change things up a little. Your orc is going to be fairly old, age-wise, but young in terms of their mind. Orcs that experienced this process were involved in the wars and fighting on Draenor, before the Dark Portal was opened. This means that mentally they are at least 40, probably closer to 50. Physically, this means they could be anywhere from 60-80 years of age. In addition, Gul’dan bred orc soldiers and draenei together and created halfbreeds, who were then magically aged — he did this with Garona, but there were others as well. If this is something you’d like to roleplay, it’s plausible — but your half-orc is going to be at least 45-50 years old in present day. And if you’d like to throw everything entirely out the window, you can choose to play an orc from the alternate version of Draenor, the world we’re currently playing through in Warlords. We don’t really have a solid chronological history but we know this: 35 years ago, the orc clans of Draenor gathered to hear Gul’dan speak of a marvelous gift, a glorious green glowing goo that, when consumed, would grant them power. Grommash Hellscream turned him down flat and united the clans as the Iron Horde, then worked on constructing the Dark Portal to connect to our Azeroth. 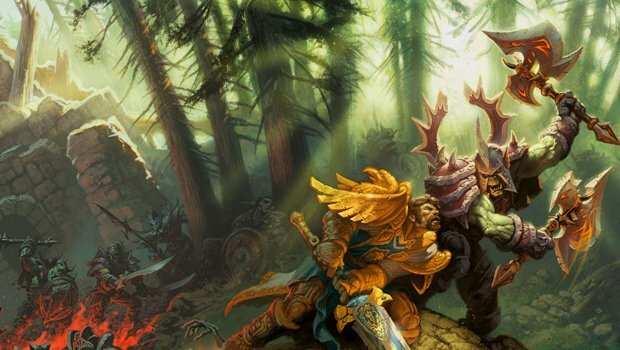 Life spans for orcs on this version of Draenor are still the same — an orc is an orc, after all — but their childhood, how they grew up with their clan, it’s all very nebulously defined. I wrote an article a few weeks ago that discussed playing alternate universe characters, if you’re interested in trying one out for yourself, I’d recommend giving it a read. Orcs are obviously heavily featured in this expansion, which makes for fun and relevant roleplay. But even if they aren’t heavily featured, the orcish race carries a fascinating history. No matter what was going on in Azeroth in the last 30 years or so, orcs had a hand in it. This means that orc characters, much like humans, are potentially some of the most well-rounded characters you can create. They may not be long-lived, but who they are and what they’ve done with their lives plays a significant part in what Azeroth is today.